"Best dental office! Dr. Hsu is the greatest. Guaranteed." "We love Pecos Dental and Dr. Hsu!" "Dr. Hsu is the consummate professional and she provides the ultimate in dental care." "Love Dr. Hsu! She is such a nice person and I'm glad I started going to her. " "Pecos Dental goes above and beyond to make sure that I'm taken care of." "Dr. Hsu, you are the best! Thank you very much!" "Absolutely the best dentist and staff in town!" "I'm so happy I went to see Dr. Hsu today!" Inri T. Hsu, DMD with Pecos Dental is leading the way in general dentistry at her practice in Henderson, Nevada. Dr. Hsu is known for her extensive background and modern approaches to dentistry, as well as her caring and relaxed nature. Upon receiving her Bachelor of Science degree from the University of Alabama at Birmingham, Dr. Hsu pursued her Doctor of Dental Medicine degree from the University of Alabama School of Dentistry. She then completed her residency at the Veterans Administration Residency Program in Birmingham, Alabama. Dr. Hsu began her career working for the Department of Corrections in Alabama, providing care for incarcerated patients. She continued caring for the underserved in her community by going on to work for the Jefferson County Department of Health. After an auspicious start to her career, Dr. Hsu moved West with her two children and joined the United States Air Force. She was stationed at Nellis Air Force Base in Southern Nevada, where she would later be promoted to Major. Dr. Hsu went on to join the team of staff instructors at the University of Nevada Las Vegas School of Dentistry after her service in the Air Force. Today, Dr. Hsu provides care to patients at her practice, Pecos Dental, alongside her hand-selected team of practitioners. When she’s not busy caring for patients, Dr. Hsu enjoys spending time with her family. Welcome! I have been a dental hygienist for 20 years and still enjoy the ever-changing field of dentistry. My goal is to create a comfortable appointment while providing comprehensive, gentle care. I enjoy spending time with my family and friends, traveling and seeking out new restaurants. Welcome, I was born and raised in Southern California and moved to Nevada in 2000. Inspired by my sister (a hygienist) and brother-in-law ( a dentist), I pursued a career in the dental field and have worked in the field for 24 years. I enjoy movies, concerts and spending time with my male companion, teenage daughter and furry friends. At Pecos Dental we accept most insurance plans. Please contact our friendly and knowledgeable staff if you do not see your insurance provider listed, and they will be happy to help! "My husband went to her while visiting. Great care and very good prices. We would certainly go back." "I'm so happy I went to see Dr. Hsu today! They were very fast, efficient, and answered all of my questions. Dr. Hsu was absolutely adorable." "Dr. Hsu and her staff are incredibly professional and highly personable when interacting with their patients. Needless to say, my comfort level was instantaneous." "Dr. Hsu is the best dentist in the Las Vegas Valley! She always has a smile on her face and puts you at ease. Love you Dr. Hsu and your whole office!" "Dr. Hsu and staff are the best! Dr. Hsu is a very pleasant surprise. She is highly competent and thorough. She has a great sense of humor and puts the patient at ease." "I have been coming here for several years now. Wait times are very minimal and she is great with kids. Five stars all the way." "I love this place - they are the best in town! I highly recommend Pecos Dental. They are all so nice and make you feel so comfortable." "I have been a patient for nine years and very satisfied! 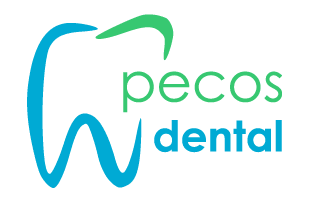 Keep up the great work Pecos Dental." "My husband went to her while visiting. Great care and very good prices. We would certainly go back, if needed." "I'm so happy I went to see Dr. Hsu today!! They were very fast, efficient, and answered all of my questions. Dr.Hsu was absolutely adorable."